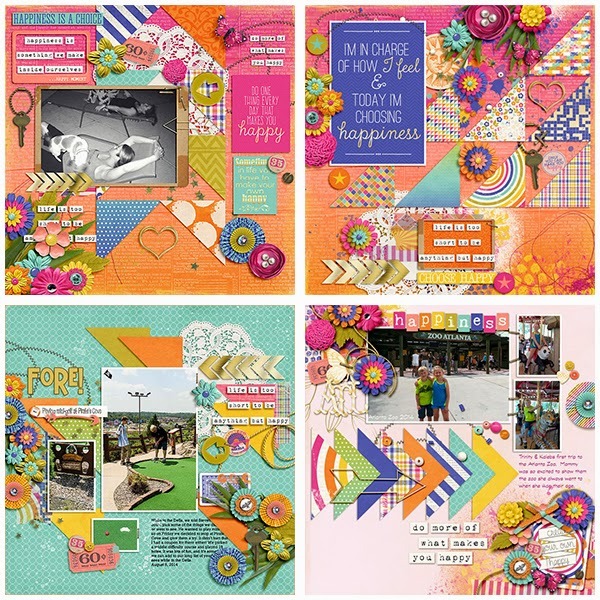 I've struggled for a very long time with chronic pain, and I've had to choose in the midst of some very dark times to create my own happy. (Side note: I'm delighted to report that I've had relief from that pain just in the past week). 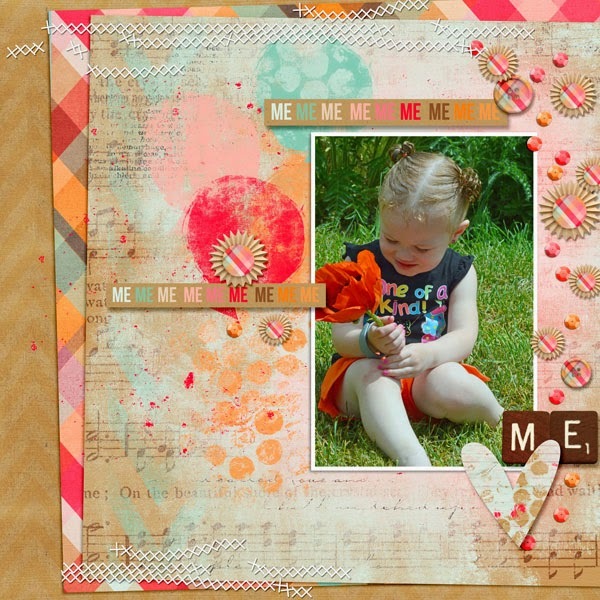 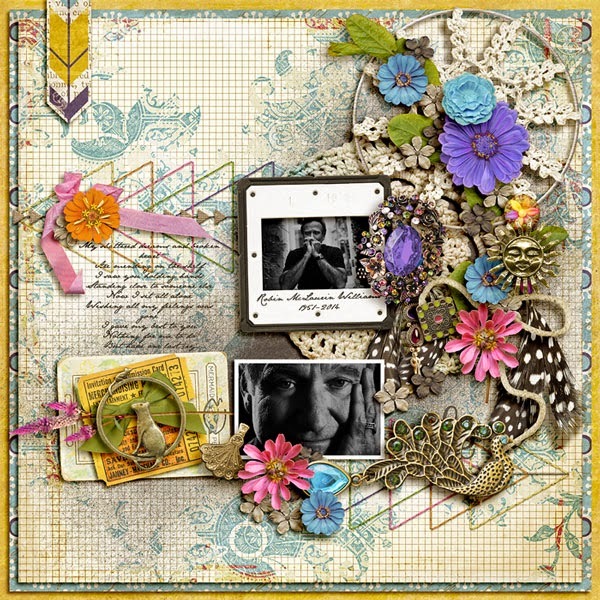 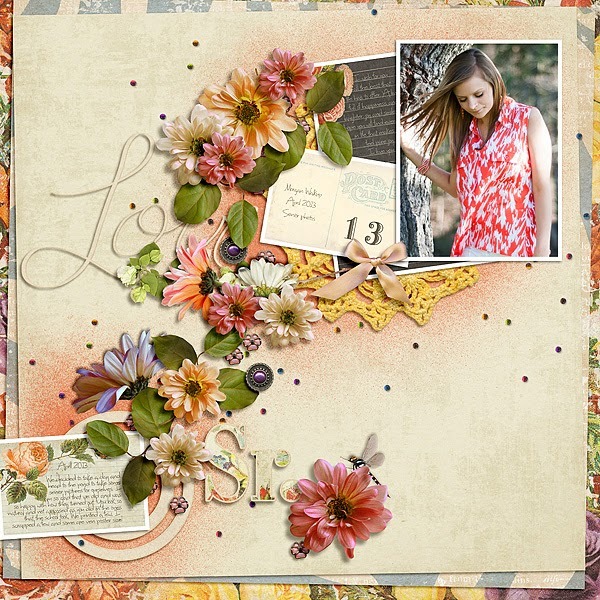 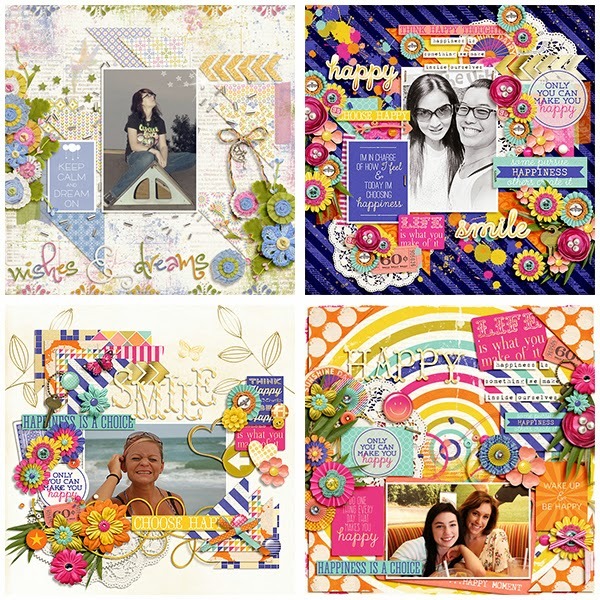 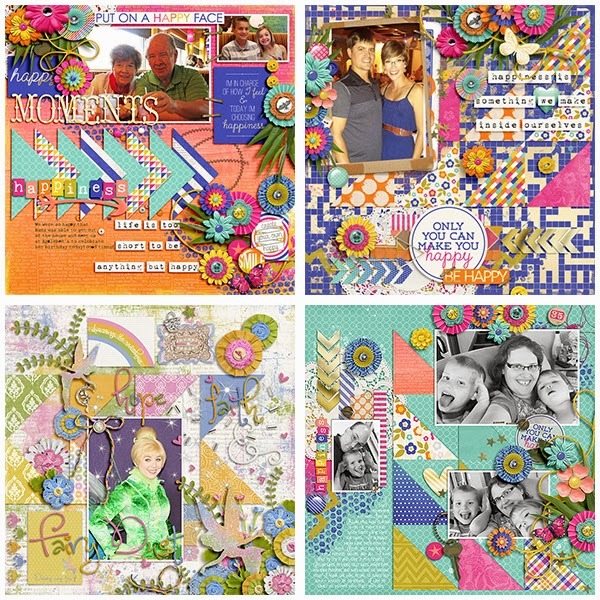 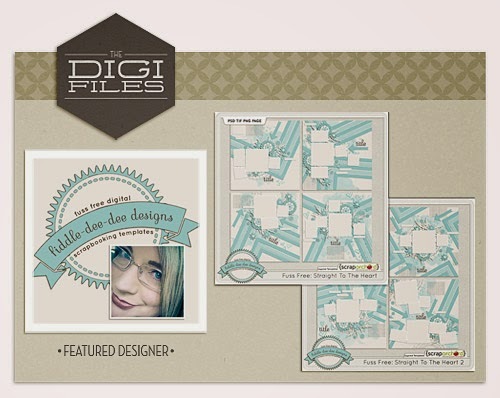 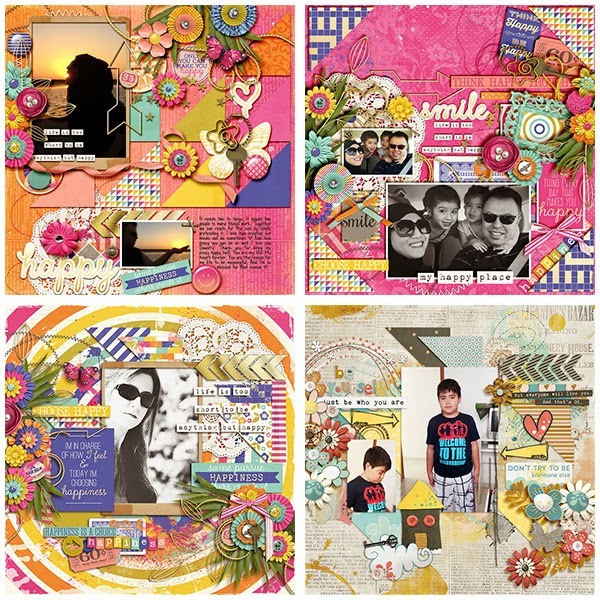 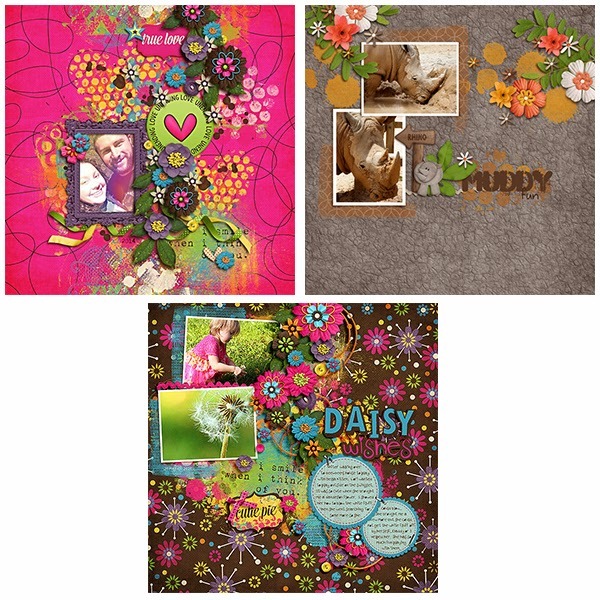 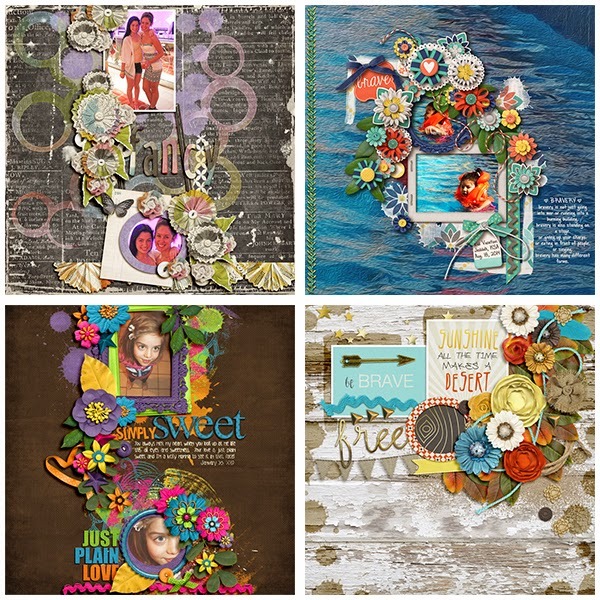 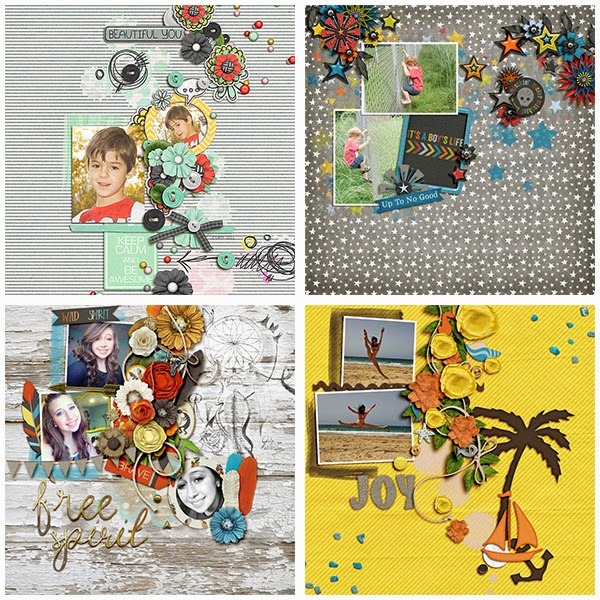 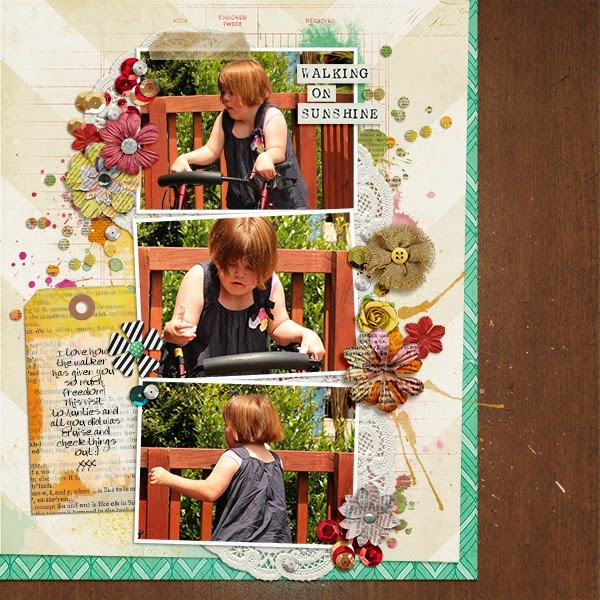 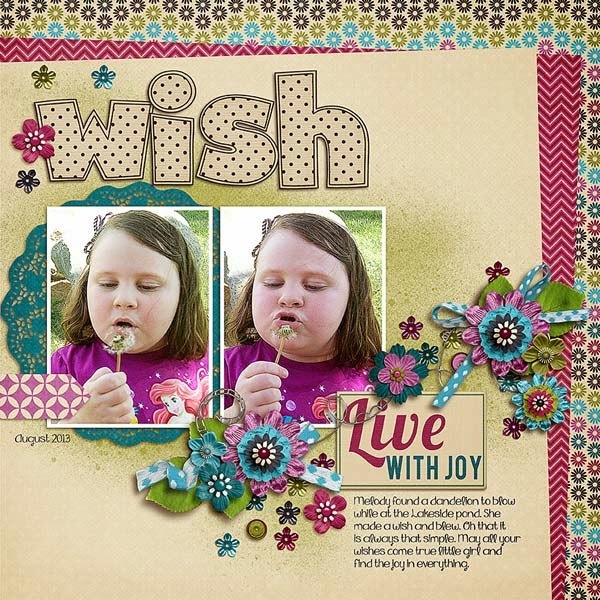 I've created a set of templates that work beautifully with the new collection by Cluster Queen Creations and Juno Designs called Create Your Own Happy. 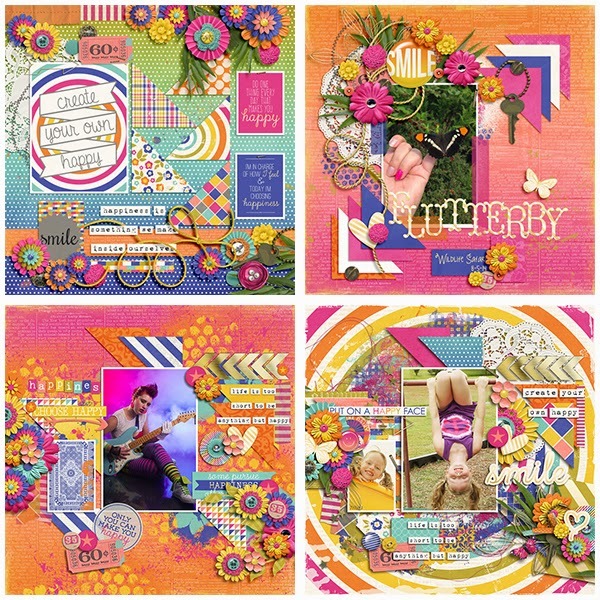 The kit and templates are really about encouraging each one of us to take control of our lives and choose to think positively and bring our happy back. 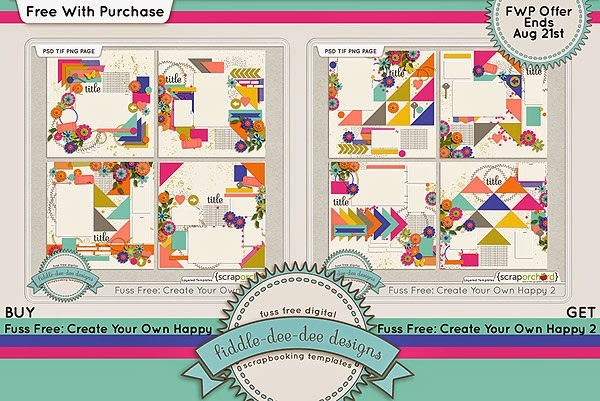 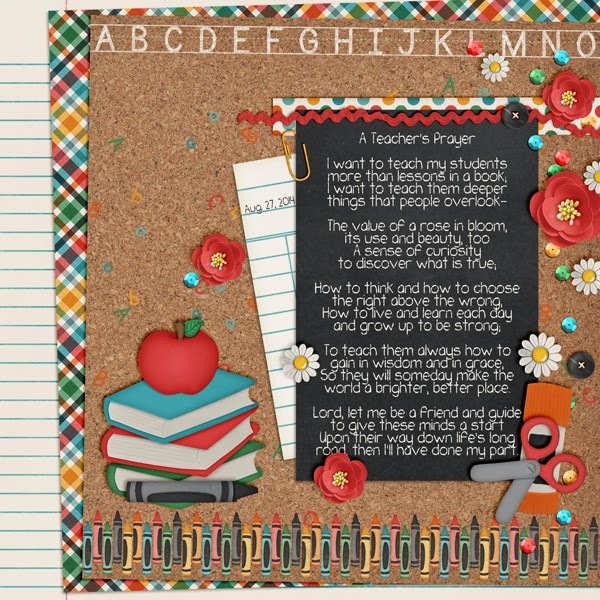 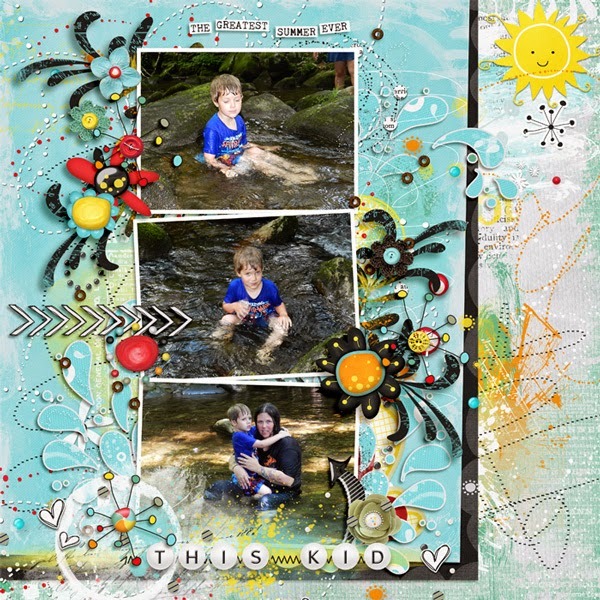 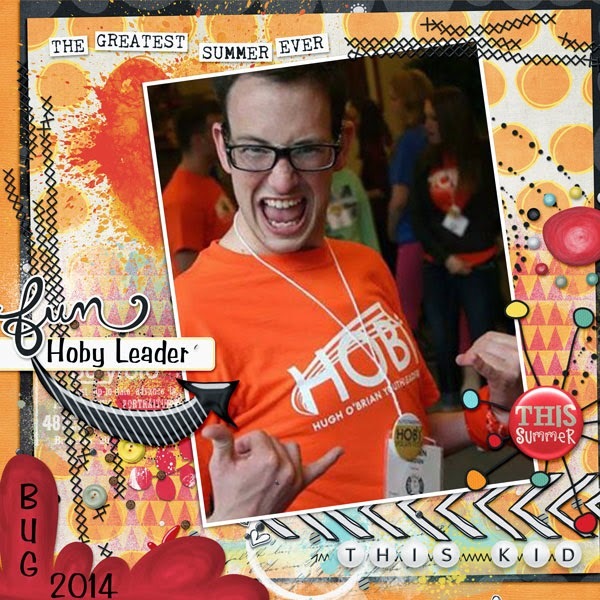 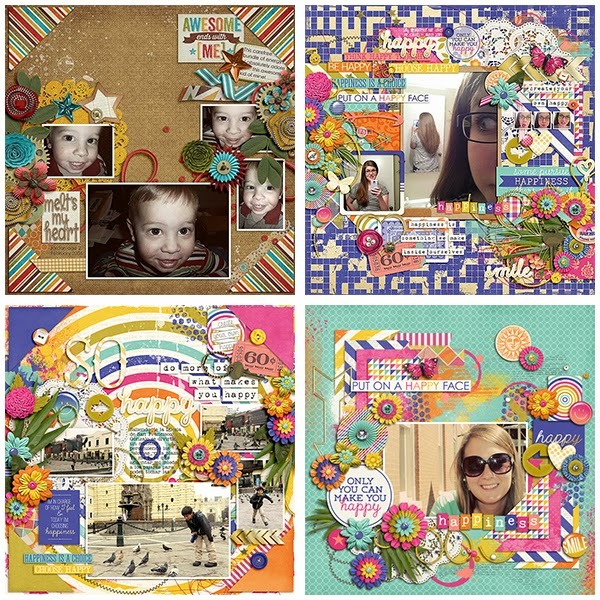 Fuss Free: Create Your Own Happy and Fuss Free: Create Your Own Happy 2 are templates filled with triangle paper shapes, word strips, word art, flowers, multiple photo spots and is bright and fun and will help you scrap a multitude of happy moments! 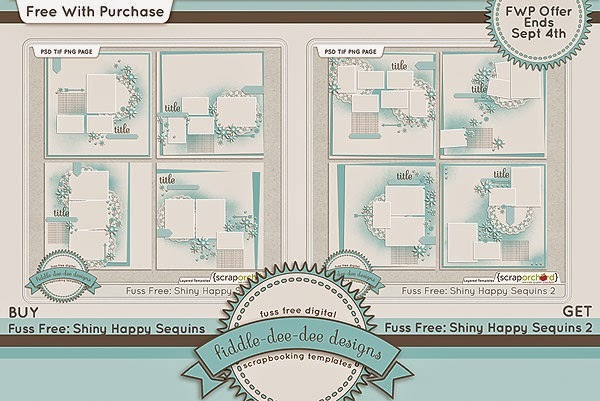 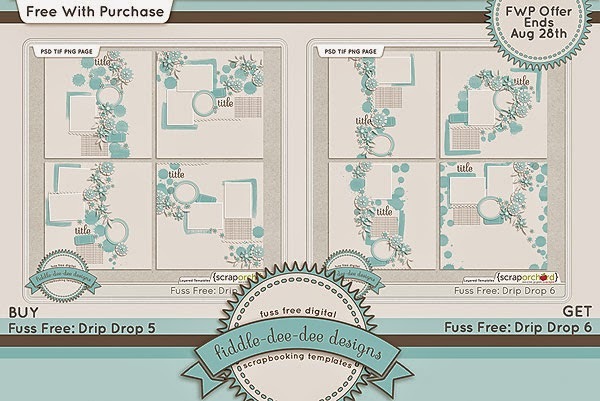 Purchase Fuss Free: Create Your Own Happy and receive Fuss Free: Create Your Own Happy 2 FREE! 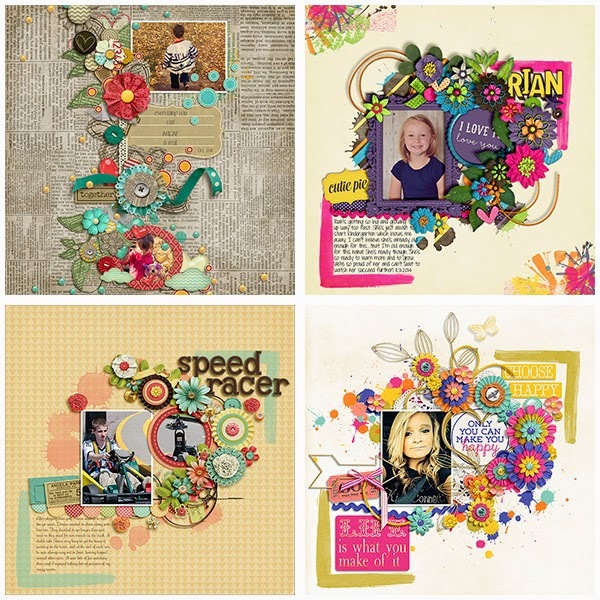 Offer valid through August 21, 2014.